Laser liposuction surgery is one of the safest and best procedures for fat reduction and skin tightening. Fat is deposited on various parts of the body like belly, waste, hips, chin, etc. It can be easily shed off by opting for modern liposuction method; it is mainly done by a device called as liposculpture. 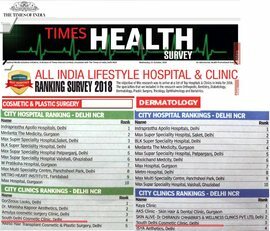 South Delhi Cosmetic Clinic provides laser lipo with liposculpture in Delhi. 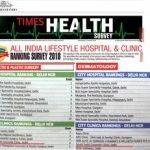 How liposuction helps in fat burning and skin tightening? Laser liposuction is a minimally invasive cosmetic procedure which uses high definition laser technology for excess fat removal. In this procedure a tiny incisions on the skin are made and laser light device is inserted through this incision. This device emits laser beams which dissolves the fat layers. The liquefied fat is then drained out using a suction device. With this laser lipo you can treat abdomen, upper arms, back, hips, flanks, buttocks, male breasts, inner and outer thighs. Ask your physician about the entire procedure of laser liposuction know, advantages, possible risks, duration, post surgery care, etc. Know more about your physician, the patient should not feel uncomfortable with doctor. Clear all your queries, it is very important to ask all the questions during consultation. Your physician should answer all your expectations and question. Drink enough water daily, have at least 6-8 glasses of water. Following few detox and body cleansing programs which can help you to achieve better results. Include healthy and homemade diet. Count your daily calorie intake and have accordingly. Start exercising, physical activity is must. Exercise at least 30 minutes a day. Adapt a healthy lifestyle and keep yourself in a perfect shape. Liposuction alone will not keep the weight off; you should also follow healthy diet and proper exercise. Few minor side effects such as swelling may occurs after surgery, so start exercising by taking doctors advice. And always be in touch with your doctor by taking frequent appointments. Many people think liposuction is for weight loss, but it is not. This process is mainly done to reduce the stubborn or unwanted fat from the body. If you are overweight or obese it is good to have healthy food. Don’t eat foods which are high in carbohydrates, sugary foods, avoid taking carbonated beverages, etc. Keep drinking plenty of water before and after each treatment. Avoid taking food at least before 2 hours of the treatment. (Avoid foods like pasta, bread or high in carbs) and also avoid taking food for 3 hours after the treatment. Do not keep your food or any chemical allergies secret with you. Discuss this with your physician. The physician should know everything about your heath condition. Avoid multiple treatments at a time. 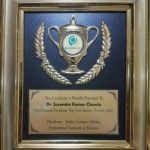 If you are going for laser liposuction surgery in Delhi, you should select the best surgeon who has good knowledge about the procedures and who has conducted many successful surgeries earlier. 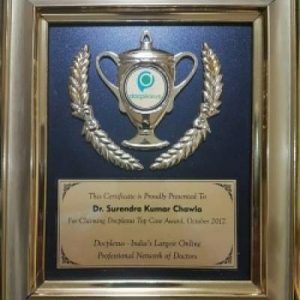 Liposuction procedure in Delhi is treated by Dr.Surendra Chawla at SDCC, he is highly experienced and knowledgeable cosmetic surgeon in Delhi. For best laser liposuction contact SDCC.